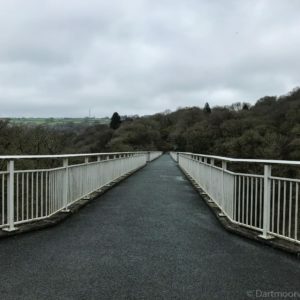 This is a nice easy walk of a couple of miles, no real climbing, fairly easy terrain and some stunning views. I parked in a little unmarked car park on the B3212 Dousland to Princetown road with Sharpitor sitting just up above me (SX556706). 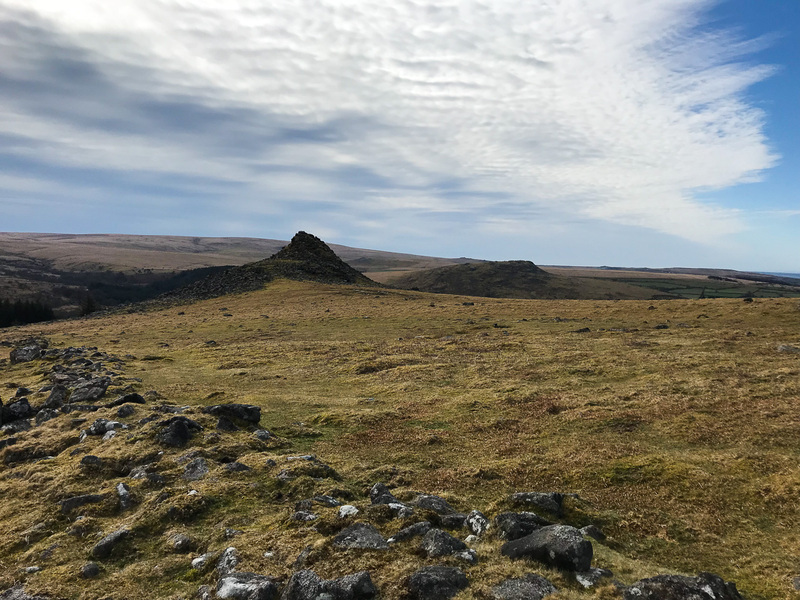 I had decided to walk around the left hand side of Sharpitor following the contour, however half way around the ground was strewn with clitter which was making my progress more difficult so I climbed slightly and found a ‘track’ which led me through most of it as I headed toward Leather Tor. 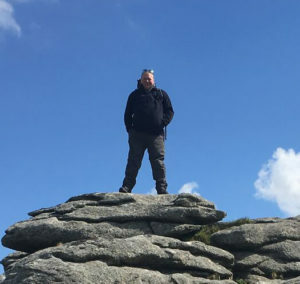 As I rounded Sharpitor the ground opened out and there was a slight incline down to Leather Tor which actually sat down from Sharpitor. It was a lovely dry sunny day when I did the walk however looking at the ground I would imagine it to be boggy in places when it had rained. 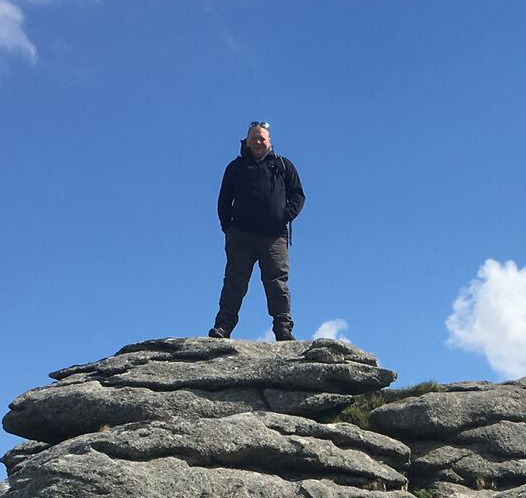 As I approached the base of Leather Tor I realised just how big this Tor was. 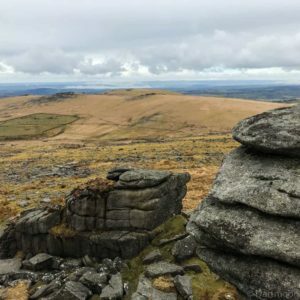 There aren’t that many Tors on the Moor that really tower above you however Leather Tor really does with its massive granite structure offering a scramble to the summit. 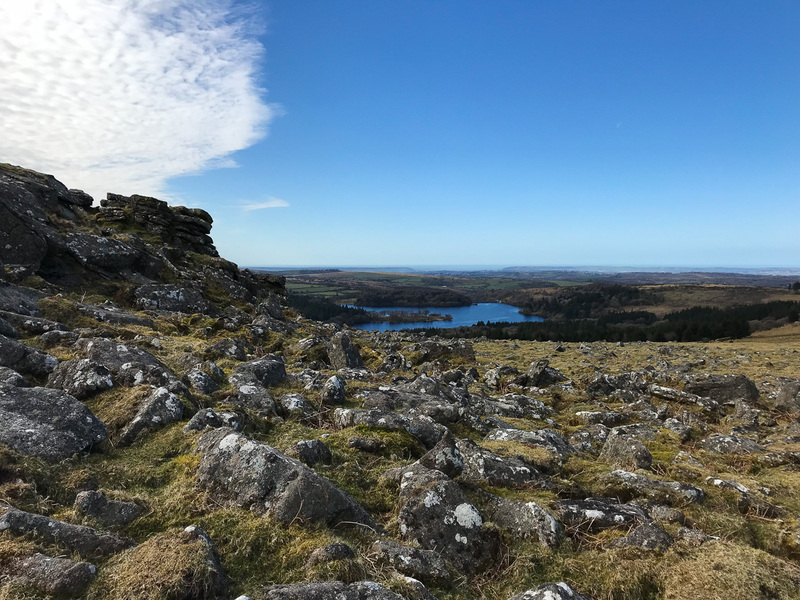 Once up there I was treated to some amazing views over Burrator Reservoir and Sheepstor. 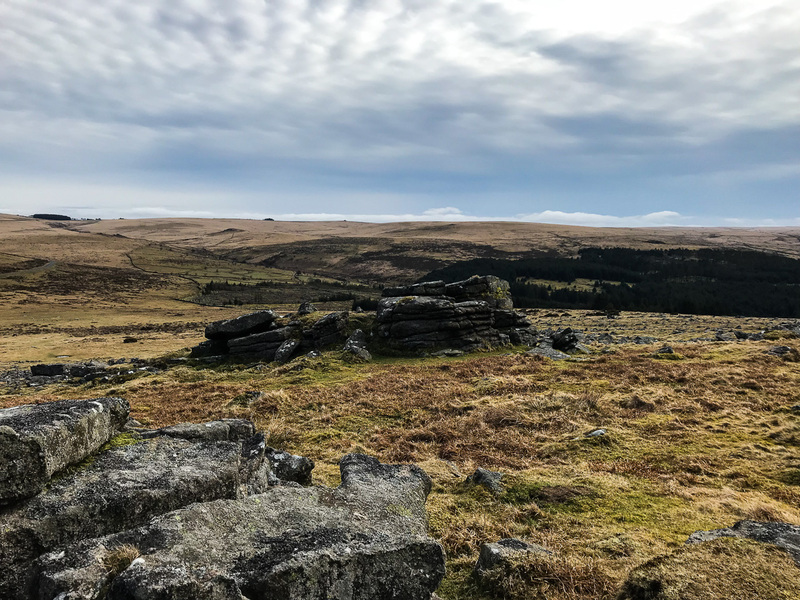 The stretch of ground between Leather Tor and the SW edge of Shapitor was another location used during the filming of War Horse and is popular with local dog walkers because of its openness and relative proximity to the road. After a cup of tea and something to eat, I scrambled back down and started to make my way over to the South Eastern side of Sharpitor following some well-worn paths. Although the whole tor is called Sharpitor it is in fact two; the SW peek is Peek Hill and then the larger tor to the NE is Sharpitor itself. A few meters north of Peek Hill’s summit is the remains of ROC Sharpitor. These bunkers were dotted all over the UK and were to be used for atmospheric monitoring in the event of a nuclear attack (in this case the naval base at Devonport would have been targeted by the Soviet Union). The post at Sharpitor was dismantled in 1993 after the demise of the Soviet Union and all that is left are traces of the entrance & ventilation shafts. most ROC posts were nothing more than plain concrete however because of the location of ROC Sharpitor, Dartmoor National Park insisted that it should be made to look ‘Tor like’ and so it has a covering of stone and all metalwork was painted green (as can be seen in the photograph above taken in the 1980s). More information about ROC posts can be found here. From Peek Hill I walked along the plateau and climbed the few granite boulders to the summit of Sharpitor. 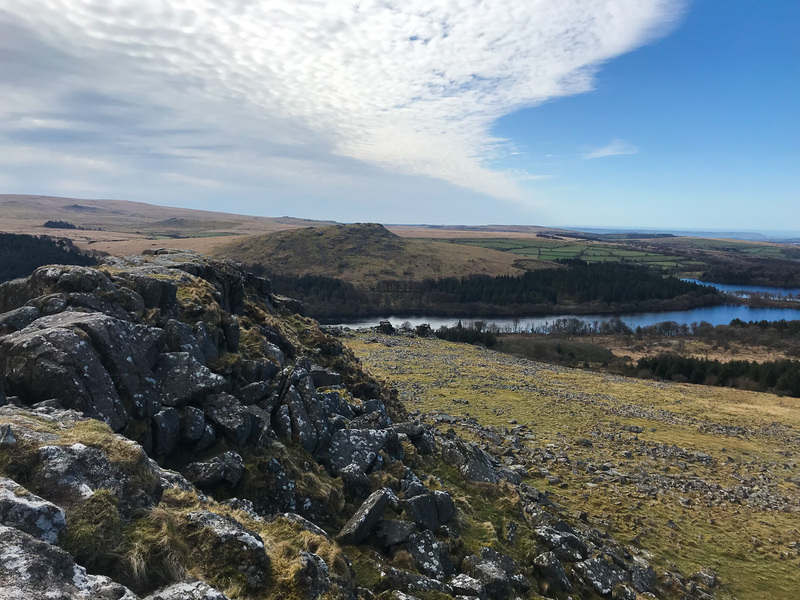 From up there the views over Walkhampton Common, Foggintor Quarry and along the Meavy Valley are quite spectacular. 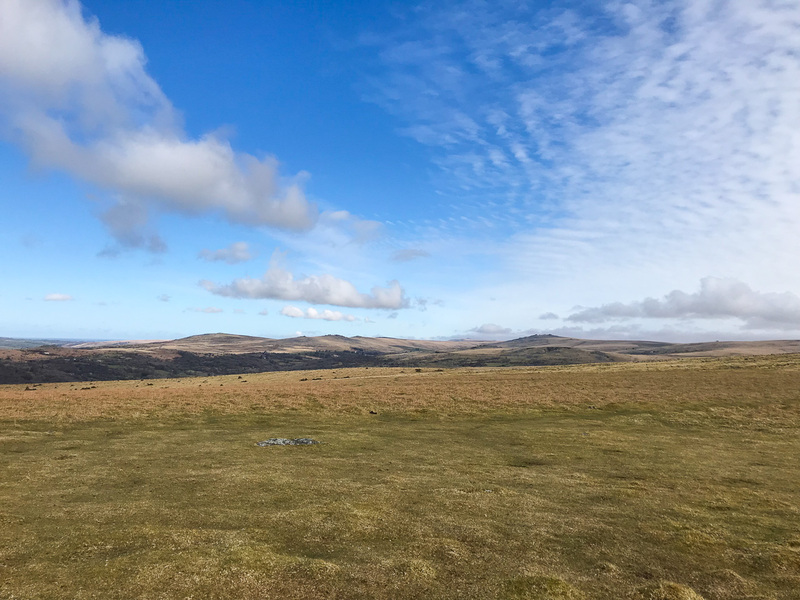 Normally Sharpitor is a very popular spot because it’s only a five-minute walk from the main Princetown road however that day I found myself alone on the summit and was able to have a cuppa and enjoy the views in peace. After twenty minutes or so it was a quick hop back down to the car and then home. A short walk but well worth it.